Sollae Systems’ serial Ethernet networking module can be used for security access control system. The networking modules from Sollae Systems help you approach access controllers installed all over the building, office, apartment doors to keep an eye on a growing number of third-party access. 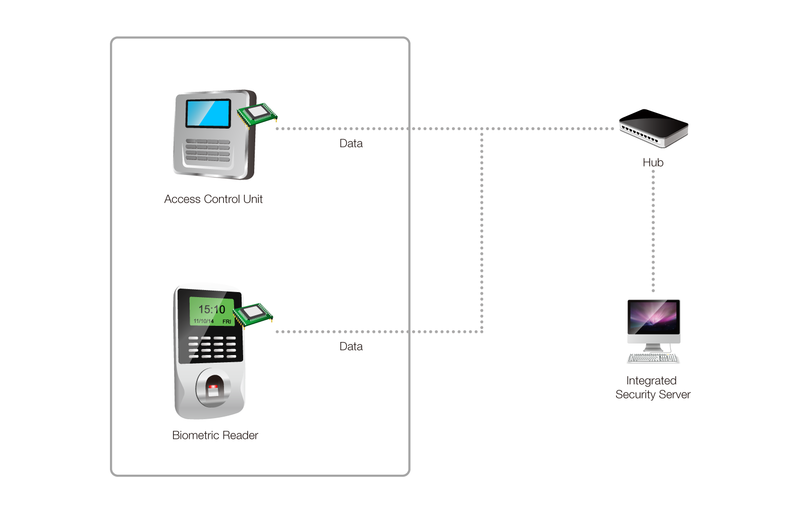 As well as enhancing security, it simplifies access control by monitoring real-time data at an integrated security server. Sollae Systems’ serial Ethernet networking module comes with SSL protocol to ensure high level of protection and guarantees reliable performance to eliminate data loss in the middle of transmitting. Remote I/O controller may also be another option for access control system where different level of security is demanded depends on a person’s authority.